The Bar Council of India today allowed fresh law graduates from Delhi University to be provisionally enrolled as advocates. This comes after the law faculty Dean had written to the Bar Council of India, requesting it to continue the registration. Reportedly, Bar Council of India said, “The students who have been admitted in the year 2011-12 and passed out in the year 2013-14 from Campus Law Centre, Law Centre I and Law Centre II of the Delhi University are allowed to be enrolled as advocates provisionally subject to the outcome of the decision of the Legal Education Committee and Bar Council of India in forthcoming meeting,"
In addition to the Dean’s letter, Delhi University had also sent application for inspection and affiliation to BCI in October. 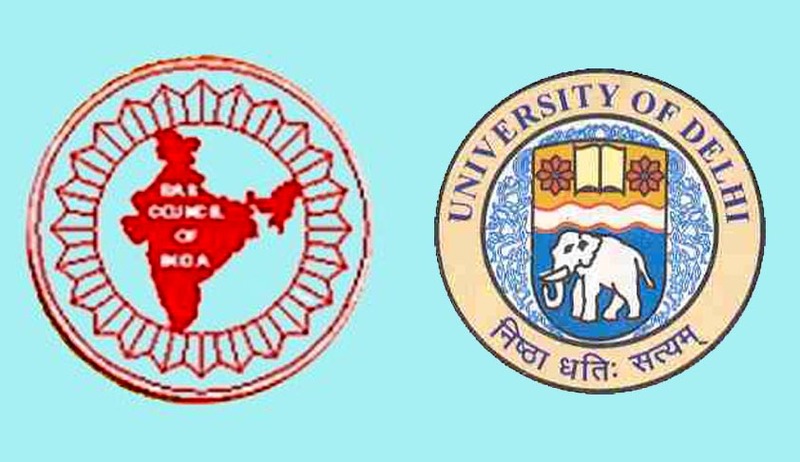 Allowing fresh DU law graduates to be enrolled provisionally is certainly a breather provided by Bar Council of India to the students, whose future was facing a question mark after the announcement in September.